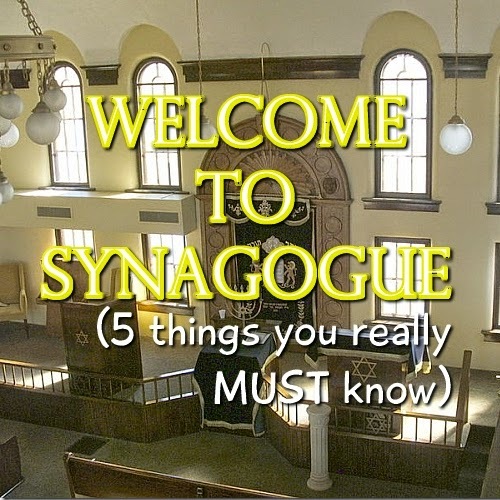 Visiting a synagogue for the very first time? 5 things you MUST know. Maybe you’re invited for a Bar or Bat Mitzvah. 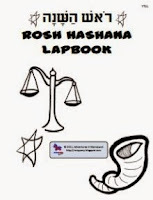 Maybe you’re drawn to Judaism and want to find out more. Or maybe you just want to support a Jewish friend or family member? Whatever the reason, if you don’t know an alef from a bet (those are letters! 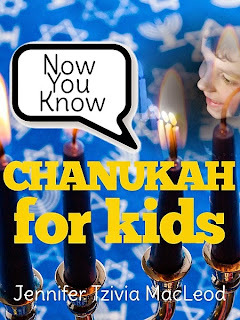 ), you might be wondering about going to synagogue and what you might see there… especially if you’re bringing kids with you. Here are 5 important guidelines that’ll help you get grounded. 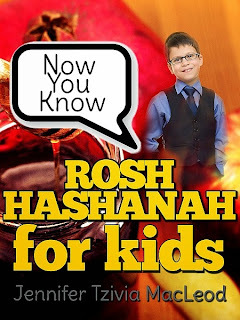 They’re adapted from my new book, Now You Know: Rosh Hashanah for Kids, on sale for 99 cents until the end of June. Girls and women should dress modestly, wearing skirts that fall below the knee. Most Jewish men wear a tallit - a striped white shawl that covers their shoulders. (In some communities, only married men wear a tallit.) Some synagogues provide these near the entrance, but don’t wear one if you’re not Jewish. Holy Ark? What’s that??? More stuff you might want to know. 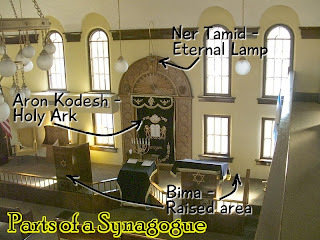 Eternal Lamp - ner tamid - most synagogues have a lamp or light near the front that stays lit either all the time or whenever the synagogue is being used. You'll also usually see a raised area, called the bima (pronounced “beema”), where the rabbi and others who are leading services will stand. In some synagogues, this is right at the front. In others, it’s closer to the middle. There will probably be a raised desk on the bima where the Torah or a prayer book is placed when it is being read. The front of almost every synagogue in the world faces East, so that those who are praying are turned towards Jerusalem. 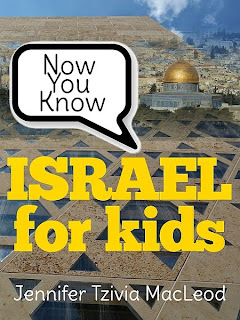 In Israel, synagogues may also be turned to point towards Jerusalem, or people may turn to face that way themselves when they pray. One big difference you may notice between synagogues and other places of prayer: many synagogues have separate seating sections for men and women. Women might sit upstairs in a balcony, or in a different area beside the men’s section. Synagogues are usually decorated in some way with carvings or stained glass, but not with statues. You may see a flag of Israel, along with the flag of the country you are in (such as the U.S. flag). Not all Jewish prayer happens in synagogue - in fact, most of it doesn’t! A formal prayer service needs a minimum of ten men, but can take place anywhere. Services can take a very long time. In synagogues in North America, it’s not unusual to start on Shabbat (Saturday) morning at 8 or 9 a.m. and finish around noon or even 1 in the afternoon. Here in Israel, things are a little quicker (everybody knows Hebrew well, for one thing), and services usually finish well before noon. 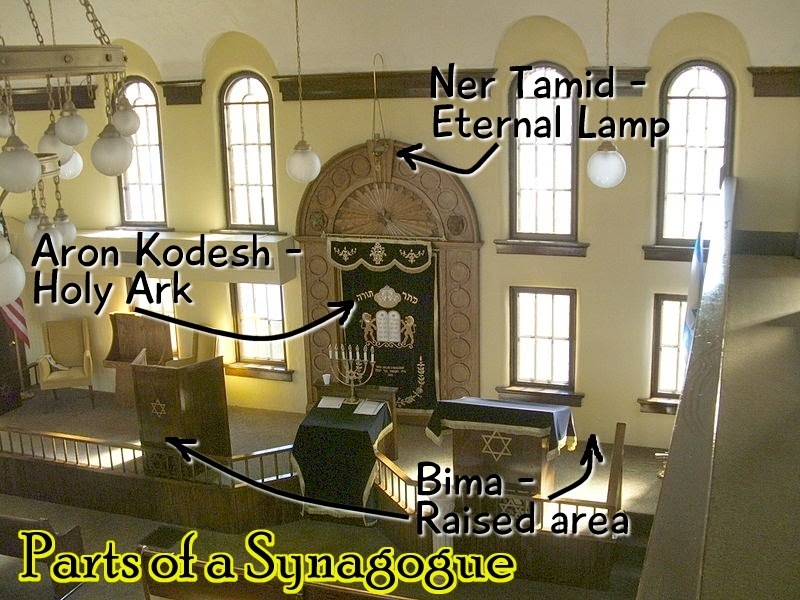 The word “synagogue” is not Hebrew but Greek. In Hebrew, the synagogue is called a “beit knesset” - house of gathering. Some North American Jews call their synagogue a Temple. Jews whose families came from Europe may call it a “shul,” which comes from the Yiddish (European Jewish) word for school. 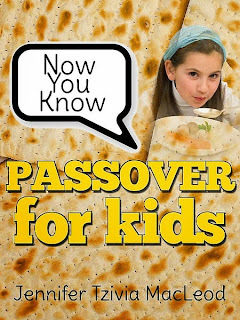 Excerpted and adapted from Now You Know: Rosh Hashanah for Kids, by Jennifer Tzivia MacLeod. Safer Editions (2015). Get the entire series exclusively on Amazon.com! Matching lapbooks for all four are available at CurrClick.com!